In Waco, from Texas HWY 6/ Texas 340 Loop, take the Speegleville Road exit and go Northeast on this road. At the stop sign turn right on McLaughlin Rd. On the left there will be a low brown pipe fence and a sign stating “Lacy Point Access Area”, turn left at this sign. This road will dead end into a circular parking area. The Equestrian parking and trailhead entrance is on the left just before the road goes into a Y at the circular parking area. From IH35 in Waco, take Hwy 6 North. Cross Lake Waco, turn right on Speegleville Road (there is an exit ramp marked as such), cross Mclaughlin Road, park sign and entrance is on your right. Lacy Point Access Trail Head is free. Reynolds Creek Trailhead is now complete however, I do not yet know the fee. Overnight Camping at Reynold’s Creek for Equestrians is allowed! New Reynold’s Creek Equestrian camping and trailhead underway and expected to be done in 2011! At the Lacy Point Access Trailhead there are limited resources. There is one vault toilet/outhouse across the street from the equestrian parking area. There are no other resources and there is no running water, so be sure to bring water for both you and your horse. The trailer parking area is on the grass. The low brown pipe fence has a narrow break in it to allow hikers, cyclist, and equestrians access to the trails but prevents wider motorized vehicles to enter. Once entering look to the right for the park sign and available trail maps. At Reynold’s Creek there are RV water and electric hook ups for living quarter trailers, running water, several horse pens, a water trough, and a wash rack. 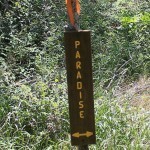 Mileage: There is approximately 19-20 miles of trails at this park. 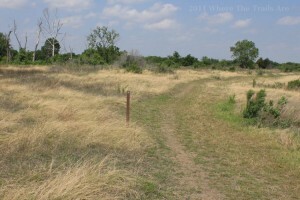 The Terrain at Lacy Point / Lake Waco is not difficult with trails that are mostly flat with very few hills or gullies. The ground is mostly rock free with the exception of a few areas that have small gravel type rocks and along the two track park roads. Some of these roads may have once been asphalt roads which are now mostly worn away but are still gravely in some areas. There is a good mixture of heavily wooded trails and several wide open trails. Lake Waco (to include Lacy Point Trails) is managed by the US Army Corps of Engineers. Lake Waco was originally authorized for construction under the Flood Control Act in 1954 and construction began in 1958. 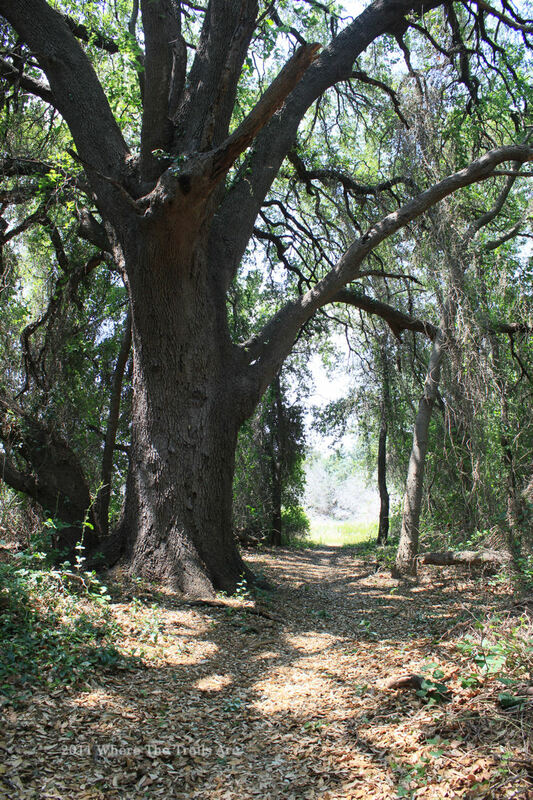 The man made lake was created for purposes of flood control and providing a water supply with the added benefits of recreational activities such as boating, fishing, horseback riding, hunting, etc… In 2010 Lacy Point Trail was designated as a National Recreational Trail. You can learn more about the National Recreational Trail program at their website: National Recreation Trails. 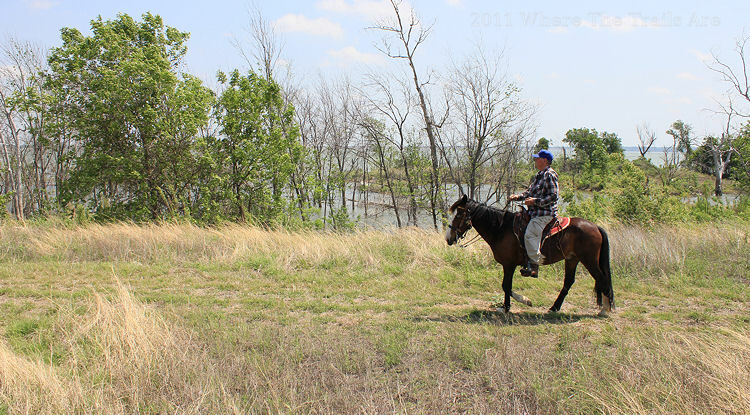 The Lacy Point Trails are shared by equestrians, hikers, and cyclists. No motorized vehicles are allowed on the trails. 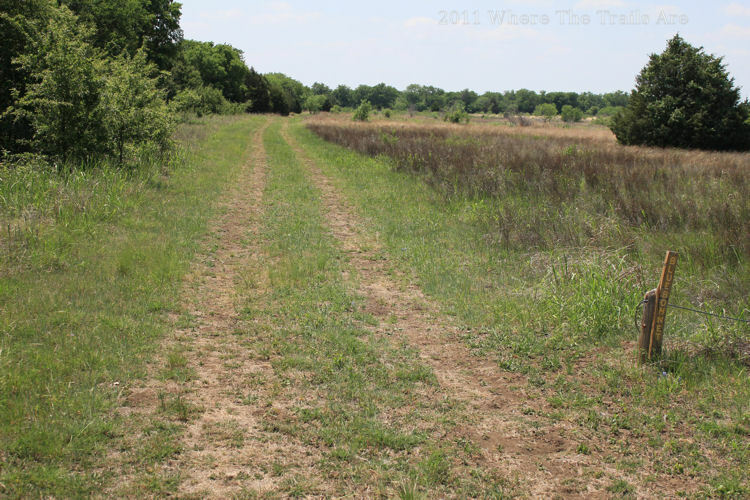 The trails are composed of park roads which are wide roads and would work great for carriages. However, the current entrance to the trails at Lacy Point Trailhead is narrow, so be sure to call ahead and ask about carriage/wagon usage and entrance to the trails. Narrower field trails and single track trails branch off from the park roads. The trails have two separate set of markers on them. 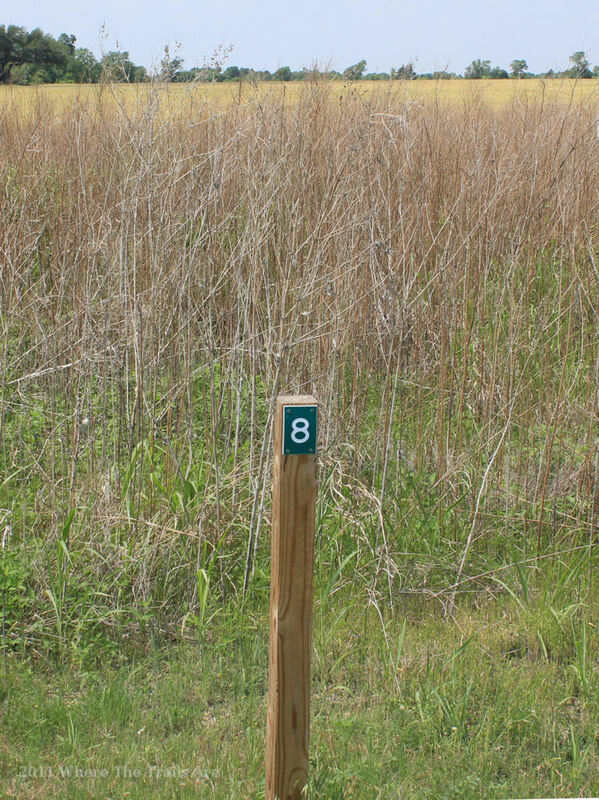 Wooden posts numbered 1-20 are observed on or not far from the park roads and some of the field trails. These markers are the result of a scout project. This is the Interpretive Trail and each number describes the type of plant life or habitat for that area. The description for post number one is Poison Ivy, which is evidently fairly prevalent through out the trails so beware. Each post does not actually provide the plant or habitat description on the post but corresponds with a descriptive article. The article outlines each post number and what plant life or habitat is in that area. The most exciting description is post number twenty which marks the location of an Eagle’s nest. 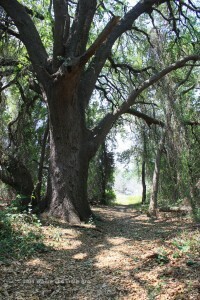 Follow this link for the article: Lacy Point Interpretative Trail Article. The posts are in numerical order with number one being closest to the Lacy Point Access Trailhead and number twenty being farthest away. If you get turned around follow the numbers back to number one to return to the Lacy Trailhead. 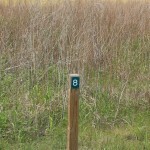 The numbered posts are not listed on the trail map. 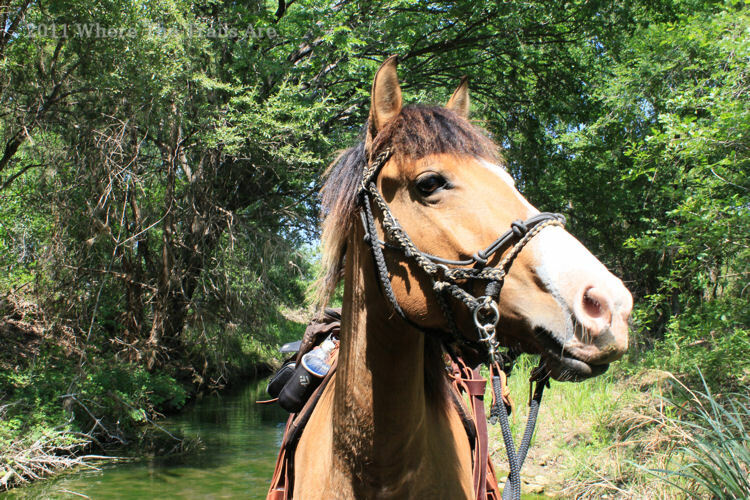 The second set of trail markers are provided by Texas Equestrian Trail Riders Association (TETRA) and are located on the trail map. These are wooden signs with the trail name carved into the sign. 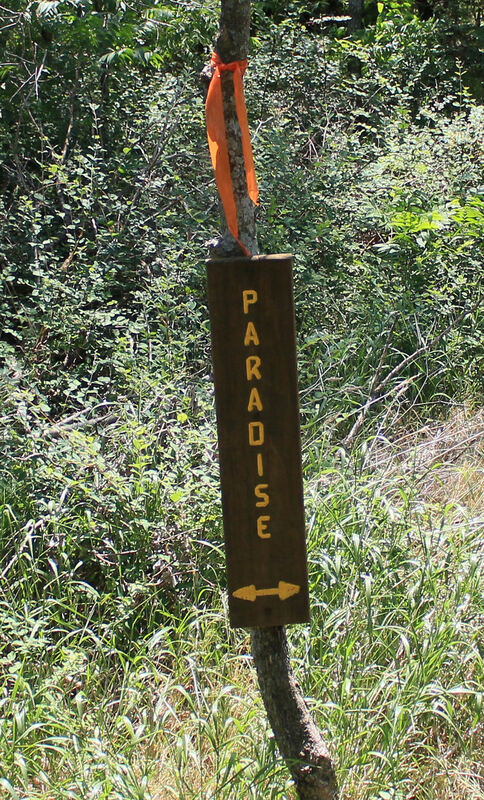 Two of the trails; Cougar Run and Paradise, have assigned colors and the trail is marked with ribbons for each trail color. Paradise has orange ribbons and Cougar Run has yellow ribbons. The blue ribbons indicate an exit or short cut. This is very handy since the two trails run close together. Trail maps are also posted in this area. 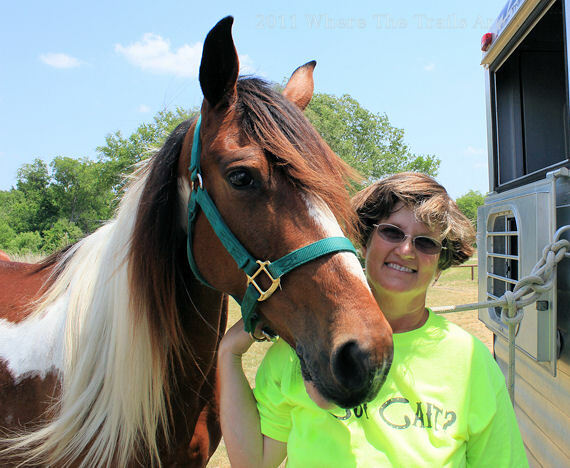 Sara McMillan, TETRA officer with her Spotted Saddle Horse. loop that is wooded, follows along part of Reynold’s Creek, and also backs up to the Lake. 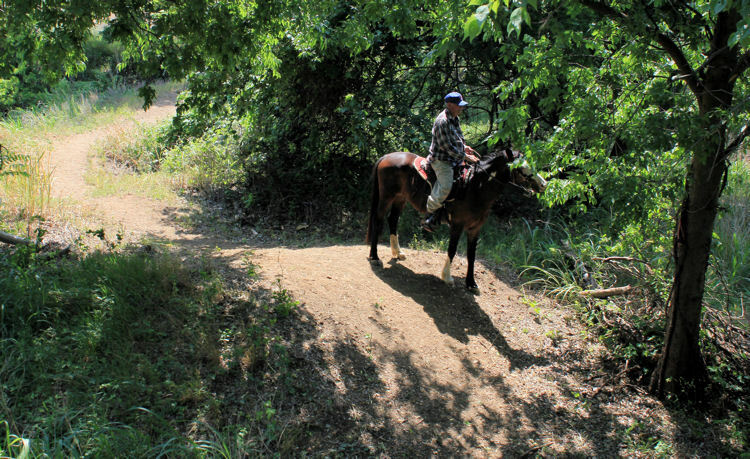 This trail provides some areas where you can access the creek so your horse can get a drink. While traveling along this trail I startled several large vultures peacefully hanging out in a tree and they startled me just a bit as well. You can also access the new Reynold’s Creek Trailhead by turning left off of Paradise and crossing over the creek by way of a small concrete bridge. Of course a sneak peak had to be taken of the up and coming new trailhead. It was exciting to see how close the new facility is to completion. Pens, running water, a water trough, a large building, and several RV hookups are underway thanks to TETRA. 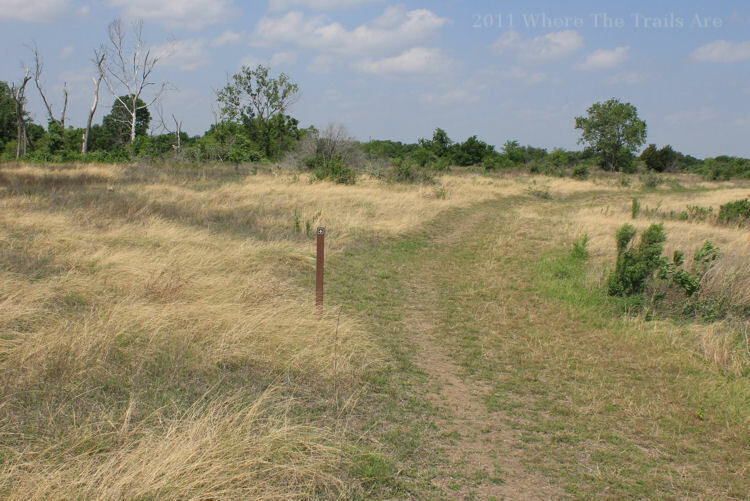 TETRA (Texas Equestrian Trail Riders Association) and WBC (Waco Bicycle Club) volunteer free maintenance for these trails and have contributed greatly for their care. I had the privileged to meet one of the TETRA officers, Sara McMillan, enjoying a day ride with her beautiful Spotted Saddle Horse. She also volunteers to help maintain trails at Lacy Point by keeping them mowed down. She has a great deal of knowledge regarding the trails and was extremely friendly. 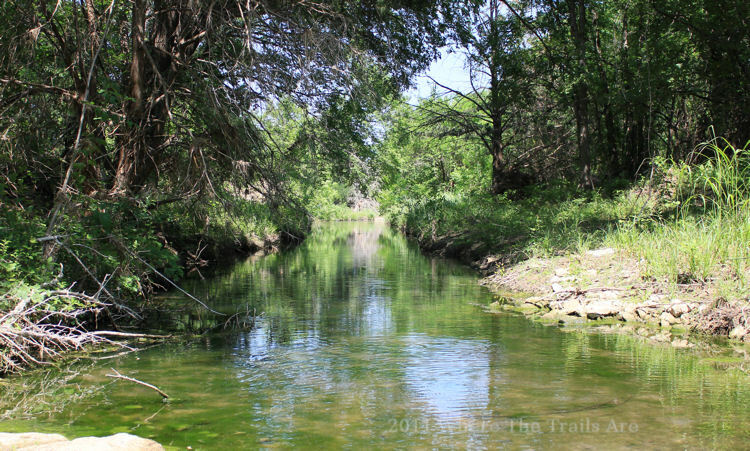 For more information about the Lacy Point Trails at Lake Waco you can e-mail Sara at: saramcmillan@mcecwb.net or contact TETRA by visiting their website: http://tetra.memberlodge.org/. Heyoka is nibbeling a tree before going down Humpy Gulch. Angel enjoying Lacy Point Trails after slurping up some of the creek.